The first of three large trees beside the road. 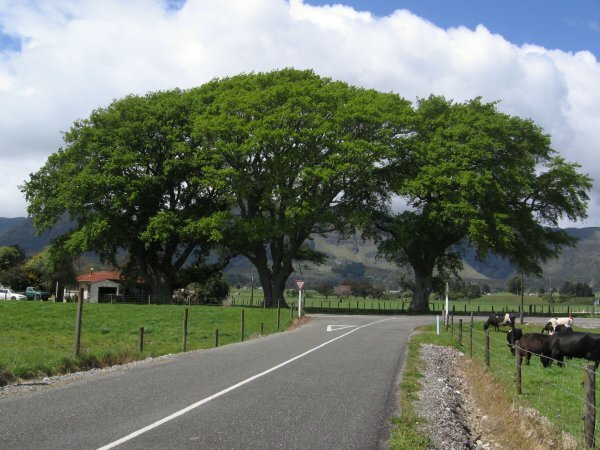 This group of oaks are locally known as 'Three Oaks' and were planted in 1907 by Jen Reilly. 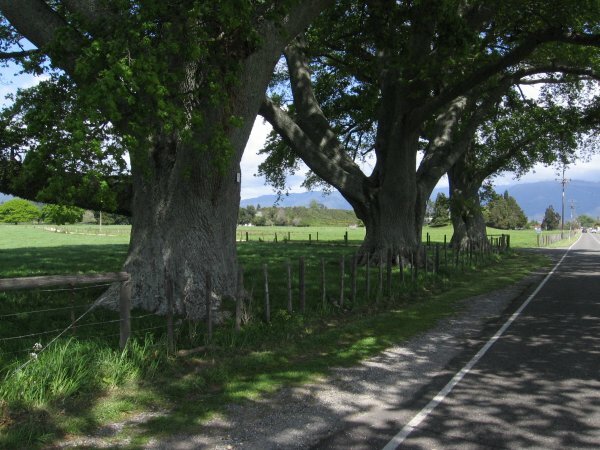 The farm 'Reilly Estate' was developed in the mid-1800's after purchase from local Maori (Stones, D. 2000). See also tree record TSR/1421 and TSR/1422. Ref: Pers. comm. Tony Reilly (Jen Reilly was his Great-Aunt). 20 Oct 2010 Cadwallader, B.G. 10 Jul 2000 Stones, D.